Pollution isn’t just a problem here on Earth. It’s also an issue in space where a growing collection of space debris is orbiting our planet. From used rockets to fragments of obsolete satellites, millions of pieces of this space junk are not only cluttering up space, but also threatening our off-world operations. Space junk can cause serious problems if a piece collides with active satellites or the International Space Station (ISS). To combat this growing issue, Chinese researchers are exploring the possibility of blasting space debris using orbital laser stations. Their research has been published in Optik – International Journal for Light and Electron Optics. This is not the first initiative focused on the elimination of space junk. Researchers have proposed dragging it out of orbit, trapping it in an orbital net, and even slowing it down so it would burn up in Earth’s atmosphere. However, the Chinese researchers’ laser-oriented project could be the most effective yet. For their study, the scientists successfully simulated an orbital laser station that would target and zap pieces of space debris under 4 inches long with 20 bursts of light per second for 2 minutes. This zapping is designed to either force the junk to burn up in the atmosphere or push it out of the way, preventing collision. The team concluded that it would be possible to launch these laser stations and that they would be effective in clearing out space junk and preventing future collisions. These orbital laser stations could solve a major problem for the space industry. In 2015, the ISS crew had to evacuate their living quarters after an old satellite threatened to collide with the station. Had it actually collided, it could have damaged billions of dollars worth of equipment. However, this laser-blasting plan isn’t without issues. Firstly, it is only equipped to destroy very small pieces of space debris. It is unclear whether it could push much larger pieces of space junk out of harm’s way. The logistics of creating the laser stations would be complicated, too. Who would build them? How many would they build? Additionally, while the orbital laser stations are designed specifically for demolishing space junk, is it possible that they could be used as weapons? Government agencies would need to work out answers to these questions and others before this successfully simulated technology could be utilized in the fight against space junk. If they could find a way to ensure the orbital laser stations were used safely and as intended, though, the stations could make a major dent in the space junk problem, which is expected to get worse in the coming years, with thousands of new satellites on track to join those already in low-Earth orbit by 2025. 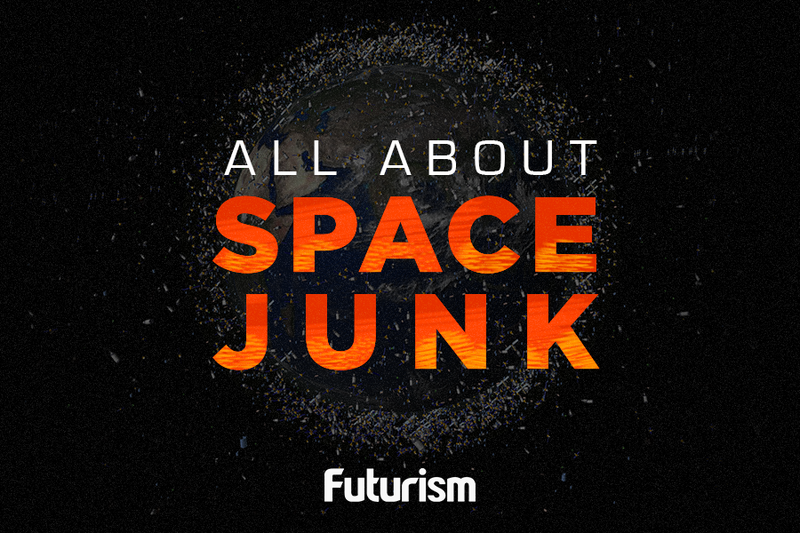 So far, all of the proposed solutions to the growing space junk problem have significant downsides, so we’ll need better solutions if we have any hope of preventing our active technologies from becoming dangerous space junk in the future.